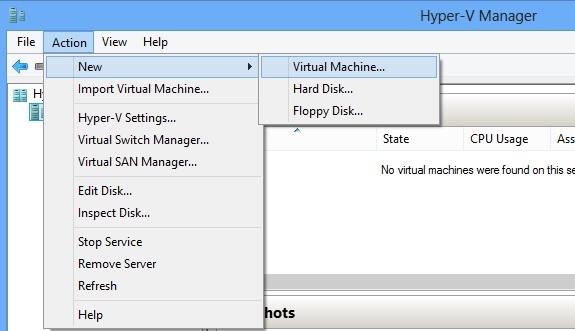 Today I would like to share with you on how to create a Virtual Machine from Hyper-V. If you have yet to have Hyper-V installed, check out my previous blog posts on how to check if your processor is SLAT capable and how to install Hyper-V on your Windows 8 machine. 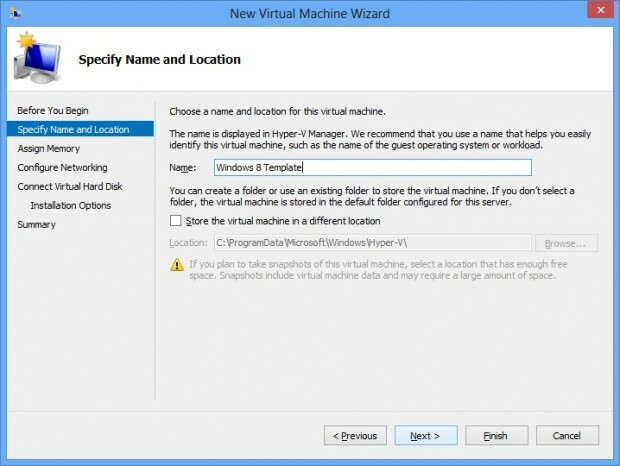 Once you have installed Hyper-V and configured virtual switches, you may proceed to create a new virtual machine. Start Hyper-V Manager. Click Action –> New –> Virtual Machine. Have a Windows 8 Pro or Enterprise? Have a powerful hardware? Then you might be delighted to know that your PC is able to virtualize at no cost! But first you will need to install Hyper-V on your workstation. Do take note that you will need a SLAT capable CPU to use Hyper-V. To check out if you have a SLAT capable CPU, check out this blog post. How to install Hyper-V on Windows 8?